The number of students taking classes on the Quad Cities campus fell 15% compared to Spring 2018, dropping from 818 to 695. Western did experience an increase in the number of students taking extension courses, which includes online classes and hybrid courses that offer a mixture of online course material and face-to-face meetings. About 330 more students were enrolled in such programs university-wide this semester compared to last Spring, which is an increase of about 27%. 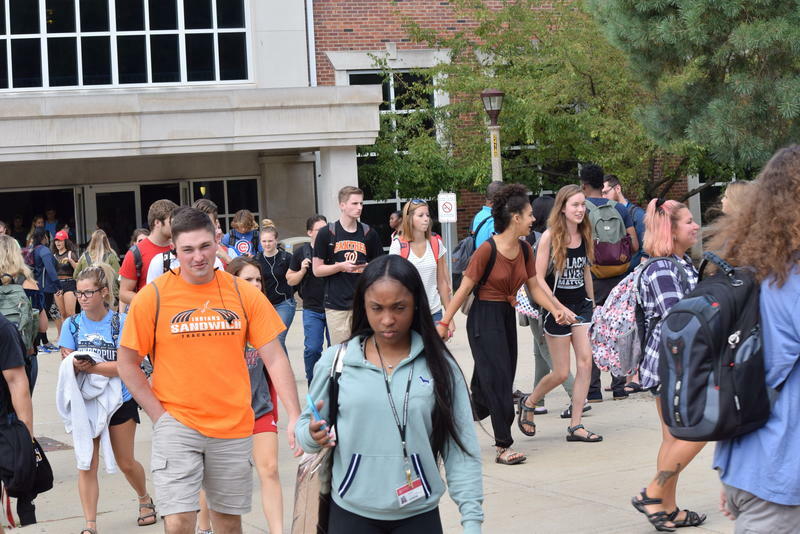 A university spokesperson said retention rates for new full-time freshmen from the Fall to Spring semesters increased to 86.3% this year compared to 82.5% last year. The university also reports that the total undergraduate retention from Fall to Spring increased to 89.7% this year from 88.9% last year. But those gains were not enough to offset losses. Overall, the official numbers for the Spring 2019 semester show total student enrollment is down about 700 students -- about 8.2% lower than what Western reported in Spring 2018. The total number of students enrolled at Western this semester is 7,893. That figure includes part-time and full-time students at both the Macomb and Quad Cities campuses. As we previously reported, WIU's Fall 2018 semester enrollment was 8,502 students. Western has been experiencing small year-to-year declines in student enrollment ranging between 1%-3% for more than a decade. But the rate of the decline increased significantly during the two-year state budget impasse and continued after the standoff ended. In Spring 2015, just a few months prior to the State of Illinois entering into the longest budget stalemate in U.S. history, total student enrollment at Western was recorded at 10,676. Since then Western has lost more than a quarter of its student population while also having to rely more on tuition dollars as state funding has diminished compared to what it was before the impasse. Student enrollment dropped 9.1% this spring at Western Illinois University compared to spring of last year.